Sweetgreen opened yesterday at Pike & Rose in Rockville. The upscale, fast casual salad restaurant donated the proceeds of the grand opening sales to the non-profit FoodCorps. Some lucky patrons received free baked goods from Sweetgreen's future next-door neighbor, Sunday Morning Bakehouse. Sweetgreen is located at 11875 Grand Park Avenue. 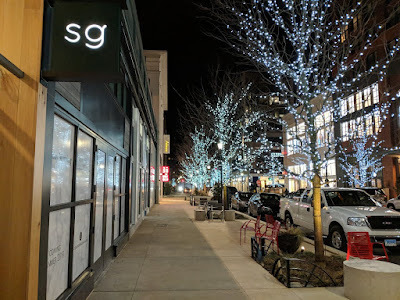 Sweetgreen calls their location North Bethesda. Pike & Rose calls their location North Bethesda. Dyer's Bethesda blog calls it North Bethesda. WHO CARES. It’s all the same. It’s closer to Rockville people anyway!!!!! !